While the world and most of the Church celebrate the ancient holiday of Halloween, a Satanic and high holy day of Samhain (lord of death), by dressing up in costumes, trick-or-treating, going to harvest festivals, or are participating in dark, demonic practices, a true, holy holiday of remembrance remains mostly forgotten. Nearly 500 years ago on October 31st of 1517, in the midst of colorful leaves and the fragrances of autumn, 34 year old Martin Luther placed his 95 Theses onto the door of the Wittenberg Castle church in Germany. Indeed, it was the nail and hammer not only heard round the world but that shook the powers of darkness and all of their Halloween evil. For hundreds of years (approximately 500-1600 A.D.) through the Roman Catholic Church, Satan had had a strangle hold on the people. Little groups here and individuals there had sought the truth of Scripture, but were persecuted and martyred by those who wanted to keep them in tangible darkness. People like John Hus, John Wycliffe and Jerome Savonarola spoke out against the immorality and unbiblical practices of the Roman Catholic church, and because of this many like them (thousands and thousands) were pressured unsuccessfully to recant and then without trial mercilessly killed. Let us remember some of those specifically now. Savonarola was part of Dominican monastery. At the age of 38 he went to the city of Florence. He began to preach and lecture and drew large crowds. He attacked the evil lives and immoral behaviour of many of the people at that time. In particular he exposed the corruption within the clergy and the laity. But he preached a message of repentance from sin and Florence became a centre of a great revival. He tried to make the city a model of a Christian community. The Pope at that time was Alexander Borgia and was one of the most wicked men who ever occupied the papacy. He tried to ‘buy’ Savonarola by offering to make him a cardinal. Savonarola refused this and the Pope used other tactics. He got the monks to speak out against Savonarola and then excommunicated him and arrested him. He was tortured and put to death by burning. Savonarola refused to renounce his beliefs unto death. Martin Luther regarded Savonarola as a pioneer of the Reformation because of his work to reform public morals. Huss was the most important of the forerunners of the Reformation within Europe. He was born of peasant stock but he was a gifted scholar and received a good education and became the Rector of Prague University when he was 34 years old. The preaching and reading of God’s Word in the language of the common people was unprecedented!!! Furthermore, in both writing and by word of mouth he defended the doctrine of the Trinity, and boldly exposed the sinfulness and immorality of the pope, cardinals and clergy. “When the fagots were piled up to his very neck, the duke of Bavaria was so officious as to desire him to abjure [recant]. “No, (said Huss;) I never preached any doctrine of an evil tendency; and what I taught with my lips I now seal with my blood.” He then said to the executioner, “You are now going to burn a goose, (Huss signifying goose in the Bohemian language:) but in a century you will have a swan which you can neither roast or boil.” If he were prophetic [and it sounds like he was] he must have meant Martin Luther, who shone about a hundred years after, and who had a swan for his [coat of] arms. And these are just two such martyrs to be remembered, but the list could go on indefinitely concerning those who spilled their blood for the sake of Christ, the denouncing of sin and the Word of God in their own language. Then, on October 31, 1517, David (Martin Luther) met Goliath (the Roman Catholic) on the great battlefield already covered with the blood of martyrs who had come before. But, this bloody battle of Martin Luther, Melanchthon, Zwingli, and Calvin did not end with their struggle, but continued on into the Netherlands wherein a protestants in great number including one named Wendelinuta were cruelly killed, in Ireland where thousands were killed en masse, and in England wherein Thomas Cranmer, Lady Jane Grey, William Hunter and a multitude of others, including one of my own ancestors (Edward Wightman) died by the sword and flame and being buried alive simply because they did not want to partake of Mass or simply because they owned a Bible in their own language. The persecution spread even to England as perceived most sadly in the stories of two youths. One 19, and the other merely 16. Though so very young, these two teenagers put modern Christianity to shame! For they knew God’s Word and loved it even unto death. How many Christian teens know God’s word today? How many would die for it? Here are the stories of those two godly, English young people: Lady Jane Grey and William Hunter. When King Edward VI, son of King Henry VIII, died at the young age of 16, he named Lady Jane Grey to the throne of England. “Lady Jane Grey (July 1536 – February 12, 1554), a granddaughter of Henry VII and a grandniece of Henry VIII of England, reigned as uncrowned Queen Regnant of the Kingdom of England and Kingdom of Ireland for nine days in July 1553, and for that reason is called “The Nine Days Queen”.”*** Though Mary was by law the rightful successor to the throne, King Henry VIII had declared her to be illegitimate and so forfeited her right, and because of King Edward VI’s wishes to keep England under Protestant leadership, Lady Jane in July of 1553 ascended to the throne. “Lady Jane had a reputation as one of the most learned women of her day. She was also renowned for her beauty…[and] at 15, she had little choice but to comply with the wishes of those who advised her. Her execution attracted considerable sympathy, especially among Protestants. She has the distinction of being the first regnant Queen of England, despite the brevity of her reign (the shortest in English history).”**** She was a godly young Protestant woman who would not cave to the persuasions of Roman Catholics. “William was an apprentice silk weaver in London and he was a Protestant when Mary Tudor took the English throne. England had broken away from the Catholic Church under King Henry VIII. Edward VI had then become king but he died at a young age allowing his Catholic half-sister Mary to become queen. She was determined to return England to the Catholic Church and a period of persecution of the Protestant believers began. William was singled out by the authorities because he refused to attend mass despite an order having been made that everyone in the City of London had to attend the Catholic mass. By refusing to obey, William lost his job and he returned to Brentwood. He was put into stocks for two days, and refused to eat. Still refusing to recant after two days, the bishop had him thrown into prison where he was laid up in as many irons as he could bear, and continued in prison for 9 months. Again William refused to deny his faith in Jesus. By his actions he was denying the validity of the teachings of the Catholic Church. Because he had refused to partake of mass and because of reading the Word of God in his own language, young William was condemned to die. ** Fox’s Book of Martyrs, page 219-220. In spite of the fact that after 500 years the Lutheran Church has recently found common ground with the Roman Catholic church and believe in the words of Tony Palmer that “the protest is over” the echoing of the hammer and nail of Martin Luther resounds still today. Though more and more Protestant church leadership is being mesmerized by the siren call of the Roman Catholic church, as one by one Protestants and Catholics seek ecumenical unity, the truth for which Luther stood and for which so many mercilessly were tortured and died, still stands, and those who believe it still stand for it. Purgatory, Papal Infallibility, salvation by works, prayers to and worship of dead saints and angels, the sale of indulgences, the grave and disgusting immorality of the church leadership, and the veneration of relics to name a few things being protested then and still ought to be protested now with addition of the elevation of Mary to that of equality with and even superiority to Jesus. Let us not forget that following Luther’s 95 Theses the militant Jesuit order was established by Roman Catholic Igntius Loyola, and with the blessing of the Pope, tormented, tortured, bribed, and murdered countless Protestants and Catholics who dared to questioned Catholic doctrine. But, the tactics of the Roman church did not stop with violence against human life, but turned to violence against the Word of God itself which is felt more deeply today than most know. For, most translations of the Bible come from a polluted Greek text written in 1881 by Westcott and Hort, and seminaries are full of Jesuit professors who teach students to question Scriptural authority. And now the modern ecumenical movement focused on the unity of Protestants and Rome is relentlessly striving to peacefully tear down all that Luther and the Reformers fought and died for. But the hammer and nail still is pounding in the hearts of those who believe in sola scriptura (Scripture alone) and sola fide (faith alone). Is Jesus Really A Superhero? The Christmas of 2014, I attended a children’s Christmas production at a local church. It was a story of all the superheros of the world gathering at the manger. Ultimately the message was that Jesus was the biggest and best superhero in the world. Not long before that children’s Christmas play there was a Superman movie that came out, and Christians applauded it, saying that Superman was like Jesus. Articles such as one entitled, “’Man of Steel’ filled with Jesus, Christianity references” in a June 2013 article http://www.foxnews.com/entertainment/2013/06/14/man-steel-filled-with-jesus-christianity-references.html#, exemplify this belief. The movie was even incorporated into sermons around the country, as pastors preached that the story of Jesus is like the story of superman http://religion.blogs.cnn.com/2013/06/14/superman-coming-to-a-church-near-you/, http://www.sermoncentral.com/sermons/sermons-about-man-of-steel.asp. According to the Daily Mail, “Marketers for the newest Hollywood Superman movie, ‘Man of Steel,’ are heavily targeting Christians by offering church leaders free screenings of the film as well as sermon notes emphasizing its religious themes. The notes, titled ‘Jesus: The Original Superhero,’ run nine pages long and suggest that pastors show the ‘Man of Steel’ trailer during their Sunday morning sermon, CNN reported Friday,” http://www.dailymail.co.uk/news/article-2343165/Man-Steel-marketers-target-Christians-sending-pastors-prepared-sermons-compare-Superman-Jesus-Christ.html. Now, yet another superman movie entered the theaters in 2016, and again people try to parallel Jesus with Superman, called Batman vs Superman, http://www1.cbn.com/movies/superman-and-jesus-supermans-origin-and-parallels-jesus. But, is Jesus really like Superman? It seems that everyone wants a superhero or to be a superhero these days. Everyone hates it when Ironman cannot get his fancy iron suit on in order to save Pepper. Everyone hates it when Superman is rendered powerless by kryptonite. Everyone cheers when all the superheros work together to save the earth, like in the 2012 Avengers movie, and everyone loves it when Neo in the Matrix gets up and overcomes Agent Smith, stopping the bullets in midair. The concept of superheros is not new, however. In the time of Jesus, the Jews were awaiting their messiah. They longed for him to come in power and might, establish his kingdom on earth, overthrow their Roman persecutors, reestablished the glory of Jerusalem, and rule the world in justice and righteousness. They longed for a physical deliverer. They desired a king, a leader, another man-of-war like David who would defeat their enemies once and for all! They were looking for this messiah – a type of superhero – and no other. So….when Jesus came as a suffering servant, a bloody lamb of Passover, a spiritual Savior with hope of eternal salvation, and cloaking His true identity and glory from them, they rejected Him as abhorrent and unacceptable. This was not the messiah for which they had been waiting and desperately felt they needed. Throughout the 2,000 plus years that followed Jesus’ crucifixion, Christians have been persecuted and mercilessly martyred. Indeed, Jesus stated that all who follow Him will be persecuted and killed even as He was. HE GUARANTEED IT! Now, what kind of a superhero is that? Jesus is our soon coming King. But, for now He is our Passover Lamb. Yes, He will return someday and wipe out the enemy with the sword of His mouth (Revelation 1:16; 19:15), and His clothing will be drenched with the blood of all who oppose Him (Revelation 19:13). But, for now He calls us to endure persecution. Yes, He will one day rule the world with a rod of iron and believers will rule and reign with Him (2 Timothy 2:12, Revelation 19:15). But, for now we are called to be servants, the least of these, even like the prophets and those who hid in caves of which this world was not and is not worthy (Hebrews 11). He is first the Lamb, and then the Lion. This truly was “foolishness” to the Jews who looked intensely for a political and physical savior. And it is still “foolishness” to Jews and to American superhero Christians. For, however attractive the concept of superheros in this day and age may be, and however nice it may be to think that Jesus is like Superman, is far from accurate. Really, to say that Jesus is like Superman is extremely misleading, for He does not always swoop down and save us from our pain, our persecution, our troubles, our problems, nor death. As much as we want Him to be our physical deliverer, more often than not we have to endure the hardship and suffering even as He did. As much as we strongly desire Jesus to be our superman, our ironman, our hero, He plain and simply is not. No. Jesus is not a superhero. He is more than a superhero. For he was not merely part human. He was fully human. He was not only part divine. He was fully divine. His birth did not come about through the sexual union of a spirit father and spirit mother nor via an alien father and mother from another planet (unlike the Superman story, and Mormon story for that matter). Rather, His birth was completely supernatural. He was born of a virgin’s seed, but not sexually; rather, it was supernatural via the Holy Spirit coming upon her and the overshadowing of the Highest (Luke 1:35, Matthew 1:18). He laid down His life (John 10:15) and took it back up again, resurrecting Himself (John 2:19-22—verified in Matthew 26:61, Mark:14:58), defeating death, hell and the grave (Revelation 1:18), and has thus made us more than conquerors (Romans 8:37). Incredibly, Jesus is God Almighty Himself, existing from eternity (Hebrews 13:8, John 8:58, Revelation 1:8, Colossians 1:17). Jesus is the great “I Am” (John 8:58, John 18:6). He is the Alpha and Omega, the Beginning and the End (Revelation 1:8). Jesus is Creator God, and God Incarnate (Come in the Flesh—1 John 4:2, Philippians 2:5-8) in whom the fullness of the Deity dwelt bodily (Colossians 2:9), the one and only begotten by God the Father (Psalm 2:7, John 1:14; 3:16, 1 John 4:9; 5:1) and upon whom the Spirit of God descended (Matthew 3:16, Luke 3:22, John 1:32). And He has a greater plan than Hollywood and superhero comic strips could ever envision, and cannot be accurately compared to any version of a past or present superhero. His ways are not our ways nor are His thoughts our thoughts (Isaiah 55:8-9), for His ways are “foolishness” to the world and its system of superheros (1 Corinthians 1:18-25; 3:18-20). His death is a stench to all who do not believe, and the smell of His death on Christians is foul in their nostrils (2 Corinthians 2:15-16). Jesus’ suffering is repulsive to them then and now, and His call to Christians to die to self and desire (Matthew 10:39, Luke 17:33, John 12:25), to pick up our cross and follow Him in spite of the shame (Matthew 10:38, Luke 14:27), to suffer with Him through pain and injustice (Philippians 3:10, Hebrews 2:10, 1 Peter 4:13), to be persecuted for morality (James 1:12, 1 Peter 3:13-22), to endure hardship for His name’s sake (Matthew 5:10-12, Romans 8:36, 1 Peter 4:14) is disgusting to the superhero philosophy of this world. But, this is the real Jesus Christ. It is a weighty thing to be a Christian. Most Christians throughout the world are being persecuted on some level, but American Christians cannot fathom this concept. We have grown accustomed to a sugar-coated Gospel and an ecumenical, superhero god who wants everyone to be happy, dismisses sin, could not possibly send a non-Christian “good” person to hell, wants everyone to be rich, and who most definitely will rescue us from all our problems. But, that is not the God of the Bible. That is not what Jesus taught. His teaching of sacrifice, self-denial, pain, persecution, suffering and carrying a shameful cross are offensive to the sensibilities of American/Western Christians who just want to embrace life. I want to embrace life too. I don’t like the concept of suffering, and most of all, I don’t like the bitter truth of persecution that is dawning in the United States of America. It is beyond hard to swallow. I’ve been a Christian my whole life, following Jesus before I could even write His name. I have studied other religions, have written research papers, speeches, learned Biblical languages, and taught classes at churches and in homes. I have gone through stark wildernesses of intense waiting, painful deserted deserts of despair, and depressing valleys. Yet, in all of it, the Word of God rooted itself more deeply in my heart. And so it is now. Christian Americans have a choice that is looming in front of them. Will they choose to serve the feel good Gospel of comfort and plenty, the superhero gods who spare them all pain and persecution or will they choose the Lord? This temporal heaven and earth will soon pass away (Matthew 24:35, Mark 13:31, Luke 21:33) and all of its pleasure and pursuits, all of its fun and comforts, and all will burn with a great consuming fire (Matthew 3:12, Luke 3:17). But there is an eternity beyond this life, an eternity that we cannot begin to fathom nor comprehend, an eternity that will be embraced only by those who are true followers of the real, non-superhero Jesus Christ. Knowing this and more, I have counted the cost and have decided that serving the Lord is the ONLY choice, for Jesus is the ONLY ONE with the words of eternal life!!! Now, choose this day whom you will serve! Great evil is descending upon America, from economic collapse, attacks and shootings in malls, earthquakes, floods, and plagues to that of unadulterated persecution being unleashed upon those who stand for Biblical principles. Great deception of lying signs and wonders, foul ecumenism, and demonic new age philosophy is strangling the America Church that was one a light upon a hill, the salt of the earth, one that sent missionaries throughout the world. There is an impending political election of great significance. Darkness has descended upon this nation that was once the home of the free and the brave. Either political choice will lead to a great shaking in America. For, there is evil in this nation and in the Church, and sin riddles them like cancer riddles a 4th stage cancer patient. One way or the other, the shaking of God will bring about a time of true repentance and a seeking of His face. No politician will save this nation. No popular church leader will bring about our desperate salvation. No next president of the U.S. will rescue us. No world leader will make us great again. But….the inspired, unchanging Word of God states that there is a God who still rides the whirlwind, who prepares hail for the day of battle, who still commands the wind and the waves, who sends the rain and snow, and who sits enthroned in unshakable majesty and power. In the midst of all that is coming, our Lord Jesus has not changed. He is still the same yesterday, today and forever! And He is still coming soon! Indeed, one day, Jesus will descend with a shout and His bride will be caught up in the clouds to meet Him in the air. Following a time of the most horrendous tribulation that this world shall ever know, also called Jacob’s Trouble, Jesus will set His feet down on the Mount of Olives and after slaughtering the enemy that has gathered to prevent His arrival, He will set up His Kingdom that will have no end. He will be here. God with us, abiding with us, tabernacling among us…finally…at long last! There is so much to say about the Feast of Tabernacles (Sukkot), which begins tomorrow evening, October 17th. This feast is so exciting that everything said about it is important and joyful. This I must say is my favorite of all God’s appointed times, for it is all about Jesus coming to live with us and set up His Kingdom here on earth!!! Part of the ceremonies performed was that of the water libation wherein 8 priests, with singing and music and many following, would descend from Jerusalem to the Pool of Siloam to draw water with a golden pitcher. Then they would all march uphill back to the Temple with the water as well as a silver pitcher of wine. Once they reached the Temple they would pour the water into a cup on the brazen altar and the wine into another cup on the altar. While they poured out the water and the wine they would be singing Isaiah 12:3 which speaks of drawing water out of the wells of salvation. Furthermore, when the priests were pouring out the water and praying for rain in order to have good crops the following year, Jesus said, “If any man thirst, let him come to me and drink. He that believeth on me as the scripture hath said, out of his belly shall flow rivers of living water” John 7:37-38. And interestingly enough, the name of Jesus–Yeshua–means salvation. While 8 priests were drawing the water from the wells of salvation, 8 other priests went out and cut down long (even up to 30 feet) branches of willow trees. Then, they along with a crowd, would travel back to Jerusalem waving the branches causing a great sound of a wind to blow. Not only this, but everyone else also held onto such branches and waved them about during the celebration. The Holy Spirit is depicted in the great feast through the wind caused by the willow branches being waved. The word for Spirit in Hebrew quite literally means, “wind, breath.” Thus, the wind being caused is symbolic of the blowing of the Spirit. Indeed, later on in Acts 2, the Spirit would come upon those in the upper room who were waiting for the promise of the Father like the blowing of a violent wind. The 8th day of the feast was called Simchat Torah, which means, “rejoice in the teaching” or Word of God. For even as the people needed rain for their crops and were praying to God for that rain, the people also needed the Word of God to fall like rain and for the knowledge of the Lord to cover the earth as the water covers the sea (Isaiah 11:9). The Word of God (Torah) is compared to water and rain. Their songs were taken from the Psalms and Isaiah, and their joy was in God their savior. And their rejoicing was not simply in good food, hanging out with friends, singing their favorite songs or in the hopes for the rains to come, but rather, their rejoicing was in the knowledge of God one day raining down upon all. This is a feast of great celebration and meaning. When the people actually celebrated it as they should, over 2 million people would be in attendance. Men would be dancing and juggling lit torches, while the sounds of singing filled the air and music wafted on the breeze. All week long people participated in God-ordained rituals, sacrifices, camping out under the stars, prayer, feasting, dancing, singing, music and then did it all over again into the night and into the next day and the day after that. If anyone thinks that God is a stick in the mud and doesn’t know how to have fun, then they have not celebrated this feast! However, unlike all other parties, at this great party God was the focus for it was about God coming down as the blessing of rain to dwell among humanity. The Feast of Tabernacles was one of 3 feasts that the men were commanded to attend in Jerusalem. The women and children were very much invited, but all the men 20 and over were commanded to come (Exodus 23:17; Deuteronomy 16:16). It was in Jerusalem that everyone was to build temporary dwelling places called “tabernacles, booths, huts” that were 3 sided and made so that one could see the stars through the roof. The Jews specifically were and are to dwell in booths like this (Leviticus 23:41-43) to commemorate how they lived when God brought them out of Egypt. But, as depicted in Isaiah 2:1-5, Micah 4:1,2 and specifically in Zechariah 14 this is also a feast for the nations, for one day all nations during the Millennial reign of Yeshua ha Meshiach (Jesus the Messiah) will come up to Jerusalem to keep this feast. It is then that “He shall come down like rain on the mowed grass, like showers that water the earth. In His days the righteous shall flourish; and abundance of peace, until the moon is not. He shall also have the rule from sea to sea, and from the River to the ends of the earth,” Psalm 72:6-8. And “the earth shall be filled with the knowledge of the glory of the LORD, as the waters cover the sea,” Habakkuk 2:14. This appointed time is about one day soon and very soon that Jesus will come and dwell among us as King of kings and Lord of lords. May it be sooner than soon! The Spirit and the bride say, “Come!” Yes, come quickly LORD Jesus!!!! ** Source material from Mark Biltz (“The Feasts of the Lord”, DVD series) and other Hebraic websites regarding the Feast of Tabernacles. Americans are living in treacherous times. Economic collapse is just around the corner, a huge presidential election is looming, and terrorism has begun to invade our society (Orlando, Florida https://www.theguardian.com/world/live/2016/jun/12/florida-nightclub-shooting-terrorism-suspect-updates) and malls (Crossroads Mall of St. Cloud, Minnesota http://www.cnn.com/2016/09/18/us/minnesota-mall-stabbing/index.html and the Cascade Mall of Burlington, Washington http://www.breitbart.com/big-government/2016/09/25/islamic-terror-homeland-security-chair-good-chance-mall-shooting/). And that is just the tip of the iceberg. Just like the iceberg that sunk the “unsinkable” Titanic, an iceberg of enormous proportions spreads out beneath the United States of America, piercing this nation with unprecedented destruction. Those who came to these shores in 1620 state in the Mayflower Compact that they came here for “the glory of God and the advancement of the Christian faith” (http://www.ushistory.org/documents/mayflower.htm). Later the Bill of Rights of the U.S. Constitution carefully states, in Amendment 1, that “Congress shall make no law respecting an establishment of religion, or prohibiting the free exercise thereof; or abridging the freedom of speech, or of the press, or the right of the people peaceably to assemble, and to petition the Government for a redress of grievances.” For 200 years this nation has stood for “liberty and justice for all” (Pledge of Allegiance). It was for freedom of Christianity that most came to these shores; it was for freedom of religion that this nation was founded. **to U.S. tax dollars paying for Planned Parenthood (http://aclj.org/pro-life/how-500-million-tax-dollars-helped-planned-parenthood). **Not only this, but our U.S. tax dollars are going overseas to pay nations that are anti-Israel and anti-Christian such as Iran (http://www.cnn.com/2016/01/17/politics/us-pays-iran-1-7-billion/index.html), **and to the U.N. who “marginalizes Christians and others targeted by ISIS” (“The U.S. and U.N. Have Abandoned Christian Refugees” (http://www.wsj.com/articles/the-u-s-and-u-n-have-abandoned-christian-refugees-1475795956). What has led to this? How did we get from the “greatest generation” of the 1940s, the celebration of respect and goodness of “Leave It To Beaver” and “Father Knows Best” of the 1950s to our present day persecution of all that is modest, good, and moral? The answer is deeper and fouler than you might think…. Jesus fulfilled all four of the Spring feasts, but He has not yet fulfilled the three Fall feasts. However, He will, for they are not just feasts; they’re not just about food and parties and family. They are appointments that God has set in place, predestined before the beginning of the world. They are dress rehearsals for that which Jesus will fully and perfectly fulfill down to the last detail. “For verily I say unto you, Till heaven and earth pass, one jot or one tittle shall in no wise pass from the law, till all be fulfilled,” Matthew 5:18. They are God’s appointed feasts and divine dress rehearsals. They are not Jewish. They are God’s. Therefore, as the people of God, let us pay attention to these feasts and be aware of their significance. There are 3 Autumn appointments. Yom Teruah, Yom Kippur, and Sukkot. Finally Sukkot, otherwise known as Tabernacles, begins the evening of October 17th.. More can be read about Sukkot at http://www.aish.com/h/su/dits/62549892.html (a strictly Jewish website) or from teachings by Mark Biltz (Judeo-Christian source) http://shop.elshaddaiministries.us/Feasts-of-the-Lord-Set-ITEM-100-001.htm and Jonathan Cahn (Judeo-Christian source) http://www.hopeoftheworld.org. If you want to go more in depth concerning God’s feasts you may want to check out the resources available at these sites. Yom Teruah is the first of the three Fall feasts of the Lord. 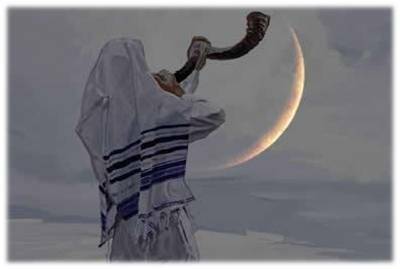 Yom Teruah means, “the day (yom) of blowing (teruah)” the shofar (ram’s horn). It is also referred to as Rosh HaShanah (meaning Head of the Year) and the Feast of Trumpets. Before the time of Moses and Mount Sinai, this was known as the beginning (head) of the year, for it is historically known by the Jews as the time when the creation of the world took place, specifically Adam and Eve (Mark Biltz’s Blood Moons, pg 82, 152). It is also the day when Noah stepped out of the ark onto dry ground (Mark Biltz’s Blood Moons, pg 36). Present day Jews have reverted back to this calendar that was before Moses and Sinai, and they celebrate Rosh HaShanah as their New Year. On this day the shofar is blown 100 times, and the hundredth time it is blown is called “the Last Trump.” No one knows exactly when Yom Teruah begins because this festival is based on the New Moon which is very difficult to detect, and there is only a small window of time that it can be seen. It takes two credible witnesses to declare the time when the sliver of the moon appears. Thus this feast is known as the day when “no one knows the day or the hour” it begins. But, once the sighting time of the New Moon is agreed upon by two witnesses, the feast day officially starts. Yom Teruah is all about repentance. It is a call for God’s people who’ve not already searched their hearts and fallen on their faces before God, to do so then. This is all preparation for Yom Kippur that follows, which is known as the Day of Atonement and/or Judgment. Remember, this is not a call to those who do not know God to repent. This is a call to believers to repent before a holy God. Revelation 2-3 draws our attention to seven churches. Five of those seven churches God calls to repent or else He will remove their lampstand or even spew them out of His mouth. Five of those seven are not ready for Jesus’ immanent return, and God graciously alerts them to the necessity for them to repent. Yom Teruah is God’s appointment with all Christians calling them to repentance and preparation. Preparation for what? Though this “appointment” has not yet been fulfilled by Jesus, it will be soon. Thus, rehearsing it would be a good thing, for it keeps us ever mindful of Jesus’ SOON return. After all, “no one knows the day or the hour” this feast day will arrive. Did not Jesus say that of also of His return? When Jesus spoke these words in Matthew 24:36, “But concerning that day and hour no one knows…” His Jewish listeners would have known that Jesus was referring to Yom Teruah. Though most in the Western Church say proudly that “we don’t know when He’s coming,” Jesus never intended for us to be clueless. “Behold I show you a mystery; We shall not all sleep, but we shall all be changed, in a moment, in the twinkling of an eye, at the last trump; for the trumpet will sound, and the dead shall be raised incorruptible, and we shall be changed” 1 Corinthians 15:51-52. Paul, being a Pharisee of the Pharisees knew beyond the shadow of a doubt when the Last Trump was. On Yom Teruah!!! The First Trump is on Pentecost as known as Shavuot. The Last Trump is Yom Teruah’s 100th and final blast. And there is also the Great Trump on Yom Kippur. Any good Jew knew this. So, when Scripture speaks of a trumpet sounding (Matthew 24:31, I Thessalonians 4:16) and of Jesus returning when “no one knows the day or the hour” any good Jew would think of Yom Teruah. I am merely repeating what Jesus and Paul said and explained what it meant to them and to their audience. 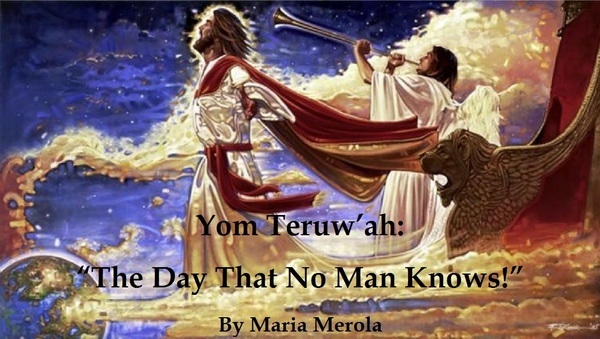 The phrase, “No one knows the day or the hour” is used of Yom Teruah, plain and simple. I am not setting a date. “But of the times and the seasons [God’s festivals], brethren, ye have no need that I write to you. 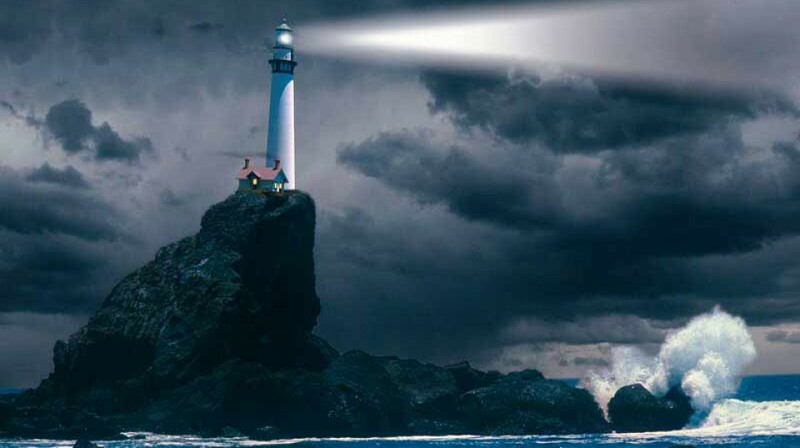 For yourselves know perfectly that the day of the Lord so cometh as a thief in the night . . .But ye brethren, are not in darkness that that day should overtake you as a thief,” 1 Thessalonians 5:1-2,4. That Day should not overtake us as a thief!!! Why? Because we are to know God’s time clock and God’s appointments and God’s festivals. Then, it will not take us unawares. 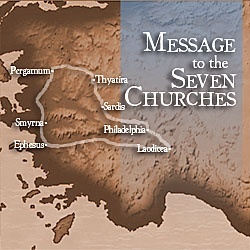 Again, Revelation speaks of 5 churches of 7 that are unprepared for Jesus’ immanent return. Specifically to Sardis He says, “Repent! If therefore thou shalt not watch, I will come on thee as a thief, and thou shalt not know what hour I will come upon thee” Revelation 3:3. It is upon such as this Church that Jesus will come as a thief and who will be unaware of the signs and seasons. Yom Teruah begins every year in the Fall. Let us as Christians be aware of this very special day, for Jesus is coming back very soon, possibly at this appointed time. May we not be sleeping when He returns. May we not be dead. May we not be lukewarm. May we not be in sin. May we not be too busy to notice. May we not be too selfish to care. May we not be too weighted down with the things of this world that we are unprepared. Indeed, “When these things [earthquakes, war in the Middle East, beheadings, Israel back in their land with their own native tongue, famines, pestilence, and persecution] begin to come to pass, then look up, and lift up your heads; for your redemption draweth nigh!” Luke 21:28.